My first ever proper gig was a music festival – the Big Day Out at the Milton Keynes. And I’ve been taking them on ever since. But this year was the first year I’ve taken one on that’s outside the UK. Groezrock came highly recommended by my festival going compadres, who’ve been taking it on for a few years. A quick look at the punk as hell line up, and I was in. In truth, my moment of the festival happened before the festival had even started. The opportunity of seeing Refused play was worth the entrance fee (and the travelling costs) alone. 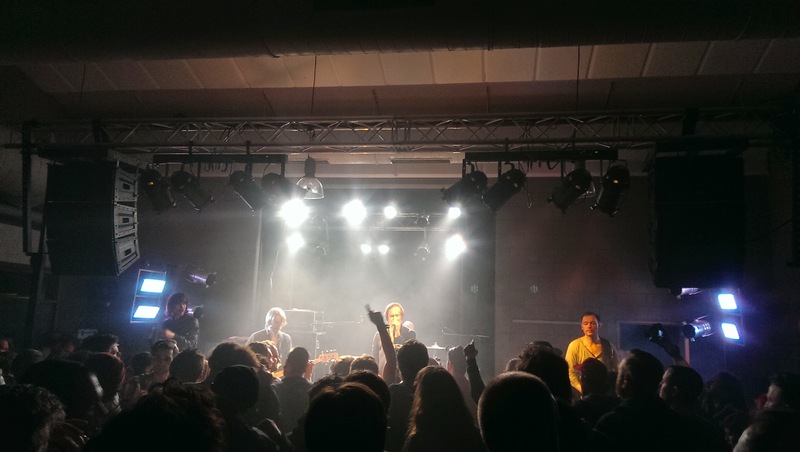 Little did I know, but I’d be seeing one of the most important punk bands of the last twenty years play a school hall with about a hundred other people, finishing with a tumultuous version of ‘New Noise‘. They were nearly as good when I saw them with a few thousand people a couple of days later. But probably the most punk moment of the festival came when Against Me! played the main stage on the Friday, the first time I’d seen Laura Jane Grace front the band as a woman. There was no show of vulnerability whatsoever, and the crowd were incredible – there were no jibes and no abuse. My mate said she’d received more abuse for quitting anarchism than for becoming a woman. Enough to make you realise that the world isn’t as bad as we sometimes think. Social Distortion headlined the Friday, and it’s fair to say it was a Marmite selection. I’m a big fan, and hearing ‘Don’t Drag Me Down‘ was enough to persuade me that their booking was a piece of genius. There were few Psychobilly bands on the bill though, and consequently few people came to see their set. There were noticeable gaps at the front, but if it affected the band, they didn’t show it. One of the bands I was most looking forward to seeing was As Friends Rust, who I’d never seen before. It was a great live performance, but they were the only victims of poor sound in the whole festival. ‘Perfect Stranglers‘ was as awesome as I remember it, but I wish I could have heard it in all it’s glory. I could go on and on, with notable sets from Gnarwolves (who represented our shores with aplomb), The Early November (one of the few emo bands on the bill, but punk rock in attitude), and The Hotelier (whose melody and conviction make them well worth checking out when they play Cardiff tonight). I’ll be honest, the festival could have been anywhere. It didn’t feel particularly continental apart from the quality beers. But if you fancy taking on one of the best punk festivals there is, I strongly recommend Groezrock. Let me say this straight off the bat – I’m a big Villagers fan. Ever since I first saw them play a small stage at Reading, to when they supported Elbow on their arena tour, and now when they’re playing their own headline tour. Their first LP, ‘Becoming a Jackal‘, was a debut of beauty. Their second LP, ‘Awayland‘ was intricate and ambitious. And their latest album, ‘Darling Arithmetic‘, is the sound of a band stripping itself back to its core and laying themselves bare. The opening track, ‘Courage’ (which you can watch and listen to above) is the perfect example of that. So my hopes were high for their show at The Gate in Cardiff, which is a beautiful venue that used to be a chapel. It turns out that the acoustics are pretty much perfect for an introverted acoustic act, and the band had seemingly decided to play to their strengths by using the sound and composition of their latest album as the basis for their workings of the songs they played. It’s no surprise then that it’s that album’s songs that are the strongest, with ‘Hot Scary Summer‘ in particular sounding absolutely epic with it’s refrain of “I am inside you, and you are in me”. The stark and straightforward lyrics of the outro contrast incredibly with the poetry in the verse as Conor O’Brien remembers “kissing on the cobblestones in the heat of the night / And all the pretty young homophobes looking out for a fight”. Whilst the reworkings of older tracks are all interesting to hear, it brings a slightly monotone feel to a band who are at their best when they colourfully wear their dripping hearts on their sleeves. The tracks from ‘Awayland’, especially the singles ‘The Waves‘ and ‘Nothing Arrived‘, are stripped of their vibrancy in favour of sullen, stark versions. Evidently I was the only one who thought so though, as the band left the stage to rapturous applause. Still, it was a thoroughly enjoyable night, just not necessarily one to tell the grand kids about. I’ve been a bit quiet on the blogging front of late, but there’s nothing like a big slice of guitar driven poppy goodness to get a man back into gear. I saw Tree of Wolves play at Cardiff’s Oxjam, and they were quite simply brilliant. With layered vocals, two guitars and a keyboard, everything’s got to be bang on the money. And fair play, they were tight as hell. Their Sleepwalking EP is going to be released later in the year, and I for one cannot wait. 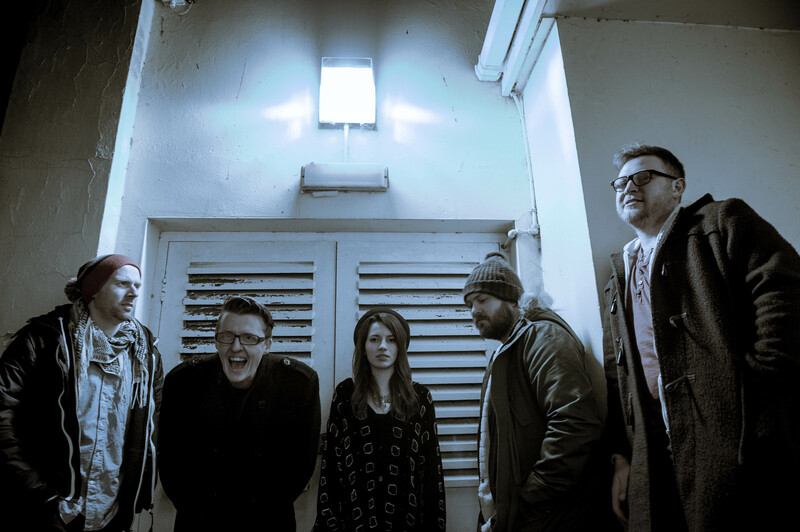 They’ve released Shapes (which you can hear below) as the first track from their EP, and it features a lot of what makes them a brilliant band – big drums, punchy trebley guitars and lovely vocal harmonies. They’ve been getting played across the BBC from Radio Wales to 6 Music, and it’s bloody fantastic to see a West Walian band do so well. It’s well worth keeping an eye on what they’re up to next and investing in their EP when it’s out. 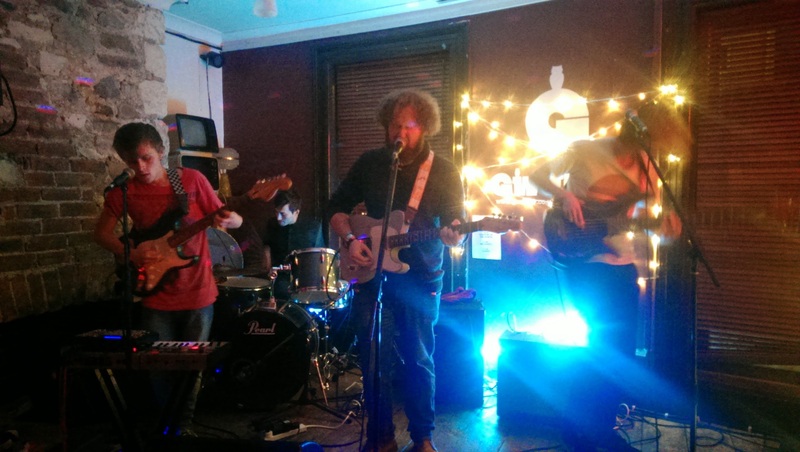 I recently caught up with Nanook of the North before their gig at Gwdihw. I’m a big fan of theirs, and a quick listen to their Soundcloud will tell you why. The last time I saw them before this night was at Oxjam, where they very nearly missed the gig because of car issues, but went on to play an absolute stormer. 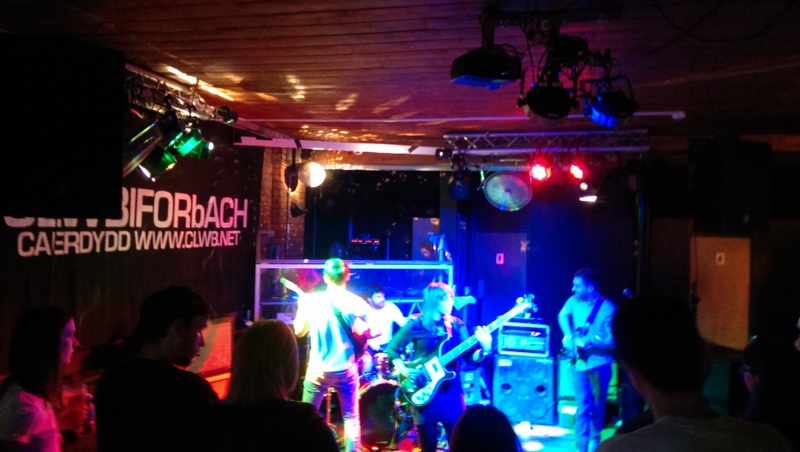 It was no different at Gwdihw, where they played a fantastic set. They’re one of those bands where each band member makes the most of their role, but each of their rhythms and melodies come together to produce something that’s startlingly inventive and original. Nanook are a great live band too, which partly comes down to the way that they translate their ambition into their performance by their use of electronic equipment and pedals, and partly because you can see they love what they do. And they’re bloody good at it. Plus in this case, they gave out free cake. You can listen to my interview with them below (or here), where we discussed a whole range of things. From how they first started out; how the Cardiff, Swansea and Bristol scenes compare; and their future plans (which fortunately involves new material). If you get the chance to see them live, I wholeheartedly urge you to check them out. I promise you, you won’t regret it. So it’s been just over a week since the Cardiff Oxjam Takeover took place, and rather predictably, it was fantastic. It’s been awesome blogging on the event. I started out thinking that it would be a good chance to support a great cause, but it’s been more than that, it’s been an inspiring thing to have been involved in. Not only was the event a fantastic showcase of the local scene in Cardiff, it’s also shown me the value of hard work – the organising team (and the volunteers) were all amazing. The highlights of the event for me won’t be a shock as I’ve already written about them. Scriber, Nanook of the North, Esuna were all unreal, as were The Gentle Good and Tree of Wolves. Like any festival, there were bands I didn’t get the chance to check out. Birdcage in particular sound very cool, and it’s definitely worth keeping tabs on what they’re up to. Oxjam put together a great playlist for the event on Soundcloud, so you can still check out what the bands on the bill sounded like. It’s not just me who thought the day was ace. I’ve put together a Storify on what people thought about the event. Unsurprisingly, everyone thought it was epic. See you there next year. The bar has been set unbelievably high! Having caught Esuna for my first Oxjam podcast a couple of weeks ago, I was expecting a similar pub based catch up with Joshua Price a.k.a. Scriber. Except that he’s now based in Manchester, so a quick meet up turned into a phone call. It was great to have a good long chat about his music, which if you haven’t heard before is incredibly tender, yet anything but serene (think vulnerable lyrics clashing with gentle melodies). In this podcast we had a chat about the Manchester music scene and the city’s culture; Carefully Planned Festival; playing a capella and nerves; solo shows and band gigs; and his upcoming gig at Oxjam. If you somehow miraculously still have doubts about checking him out, here’s a taster of his track Holland House which is a hell of a good showcase of what he’s about. I’m amped for his LP when that sees the light of day, and I hope you are too. In the meantime, see you for his set on Sunday. Last month there was a bit of a debate around whether 6 Music should replace Radio 3 on FM. Classical music tests musicians’ awesomeness and showcases their techniques. We tried that in rock music and ended up with Prog. And Prog’s just not acceptable in my eyes. It might test the limits of rock music, but it also tests my patience. But to me Math Rock pushes the boundaries in a good way. 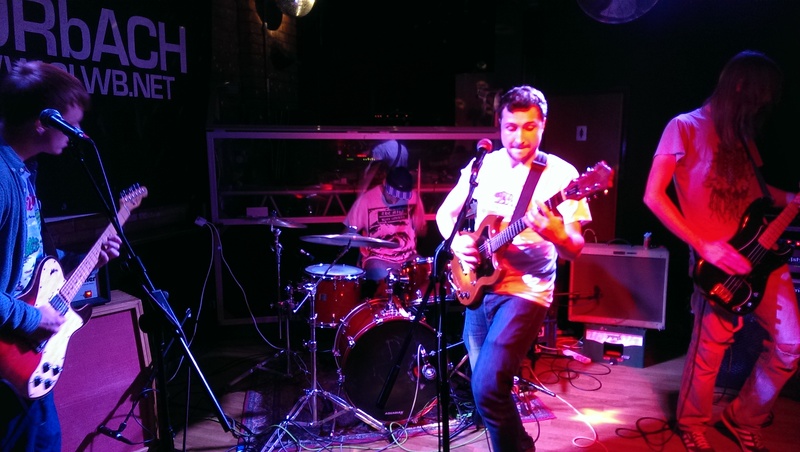 On Saturday I checked out Delta Sleep and Axes in Clwb Ifor Bach, and both of them were suitably epic without verging over into anything as overblown as Prog. Delta Sleep might have audacious guitar parts, but they manage to convey a different feeling. Having already seen them live (and been blown away) this year, I knew that they would be playing some technical music. But the vocal element puts something pretty different in the mix from a standard Math Rock band. The complex beats marry with the melody of the vocals to bring together something quite unique. Their set was a mix of new tracks (including the awesome Spy Dolphin) and older stuff, which ended with the unreal 16:40am. It’s fair to say that Axes are a different beast to Delta Sleep. They’re instrumental for one thing, but what both bands definitely share is a great presence. It’s obvious that they love playing live, and for a technical band they’re incredibly busy performers. This track is from their new LP Glory, which I haven’t had a chance to check out yet, but I’ll definitely be getting my mitts on it. Saturday night showed that classical music isn’t the only music for intellectuals, but above all, it showed that good rock music has got heart.